I am in love with this new technique. 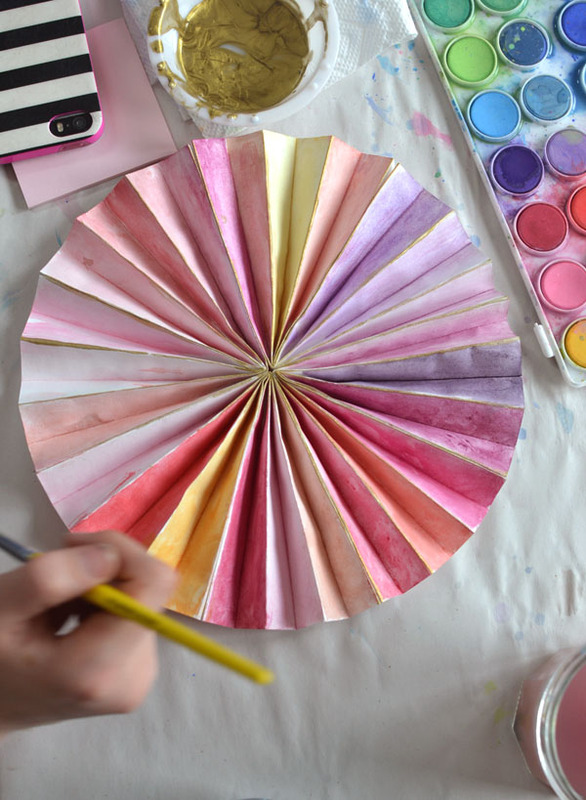 As I was playing around with making these beautiful pinwheels, I was trying to think of a way to make the craft a little bit more enticing for my tween and teen. And then it hit me: make them out of watercolor paper, and let my girls paint them! We added a few beads and, voila. I will admit that folding these takes some practice and time, and my kids did not enjoy this part as much as I did. But the painting part was a huge success, and kind of addicting. 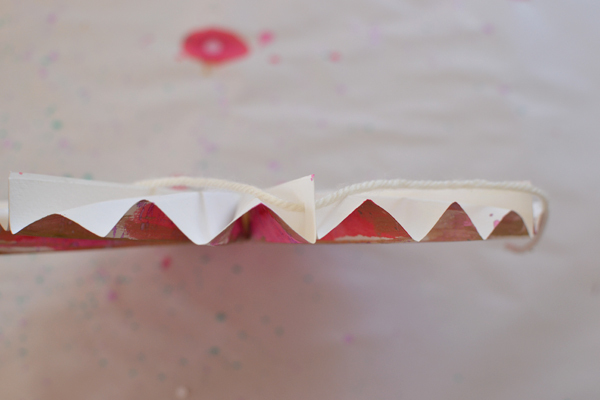 When do kids ever get to paint on folded paper? 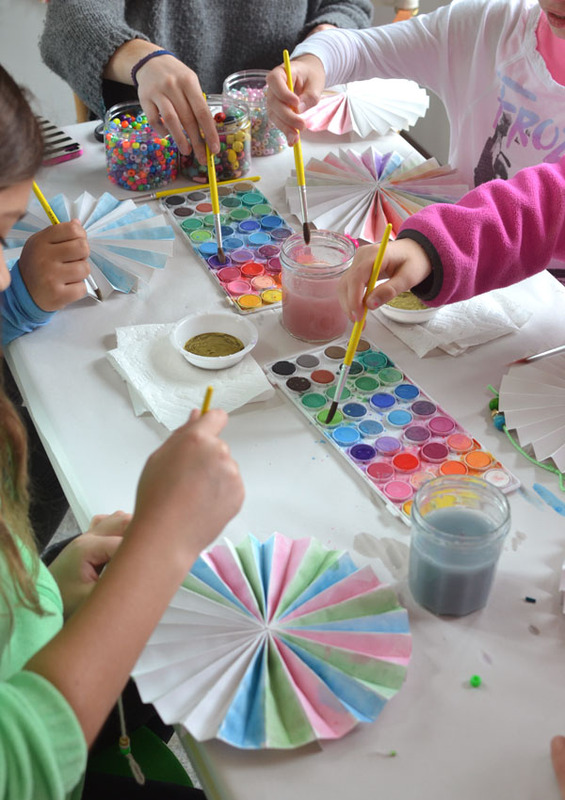 It became somewhat of a process-art experience for them, which was cool because crafts don’t usually lend themselves well to process art. 1. 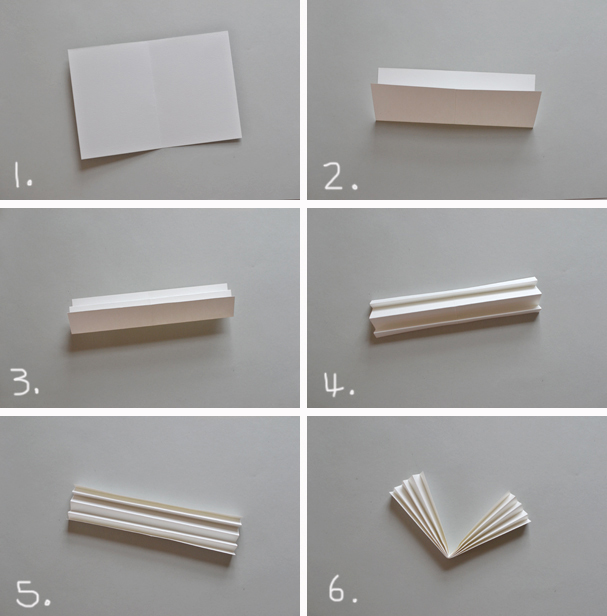 Cut paper so that you have four 9″ X 6″ pieces (paper can be any size, but in sets of four and it needs to be a rectangle). Fold in half, widthwise. 2. Fold in half again, lengthwise. 3. Fold the halves in half, folding up to the middle. 4 + 5. 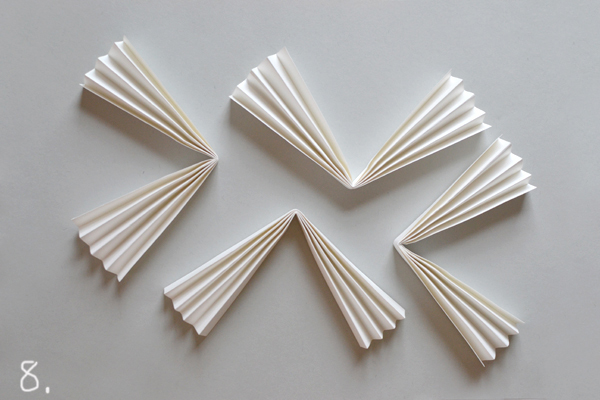 Fold in half again, and then again, creating evenly sized accordion folds. 6. 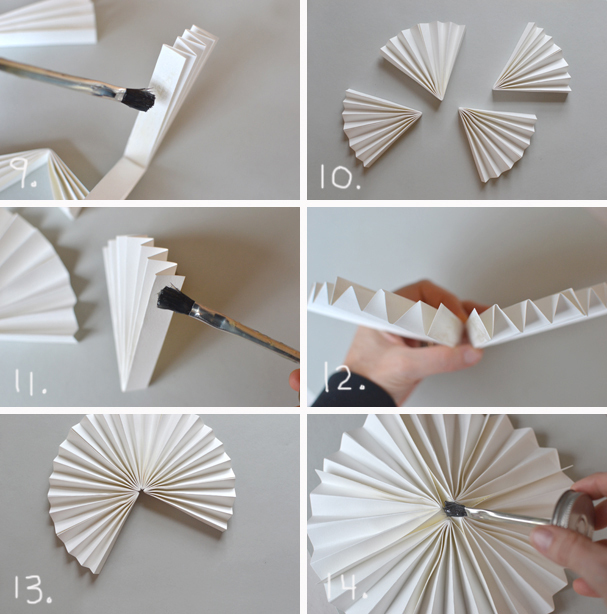 Now use the very first fold as a guide to fold the accordion in half. This gets tricky when the paper is thick, you may have to adjust the folds slightly. They might look a little off, but that’s ok. It won’t matter in the end. 7. This is what your accordion folds should look like. 8. Do this four times so that you have identical parts. 9. Spread rubber cement on both inner folds. Wait for glue to dry, then press together. 10. Do this four times so that you have four fans. 11. 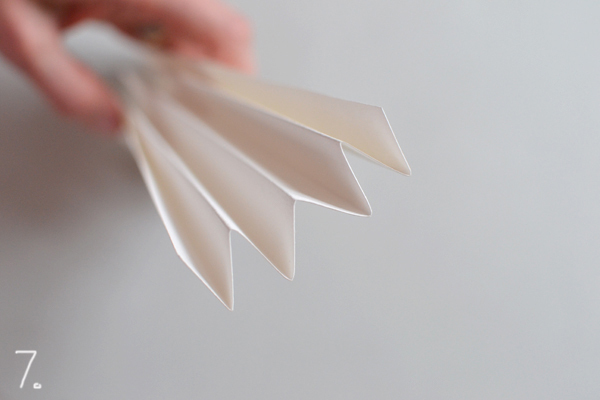 Now use the same rubber cement technique for the outer folds. Put glue on all side and wait for it to dry. 12 + 13. Press all sides of the fans together, one by one. Make sure that the ends match up so that they are both going in the same direction (making a “W”). 14. When all four fans have been glue together to form a pinwheel, turn it over and just put some extra glue in the middle so that it doesn’t pop out. You’ll know what I’m talking about if you make one. I missed taking photos of the whole painting process because I had flipped the switch on my camera to “record”. 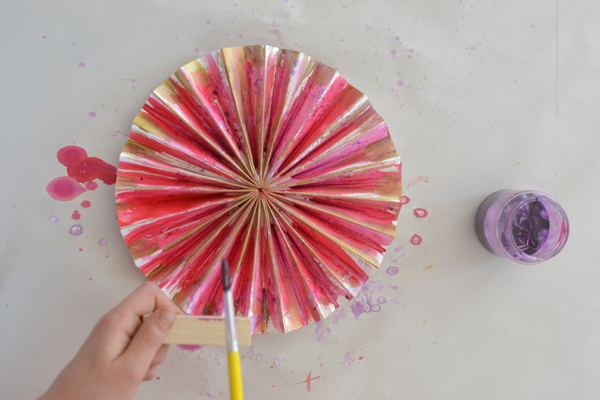 But you can watch this short video to see how my twelve-year old painted her pinwheel! Pretty cool, right? 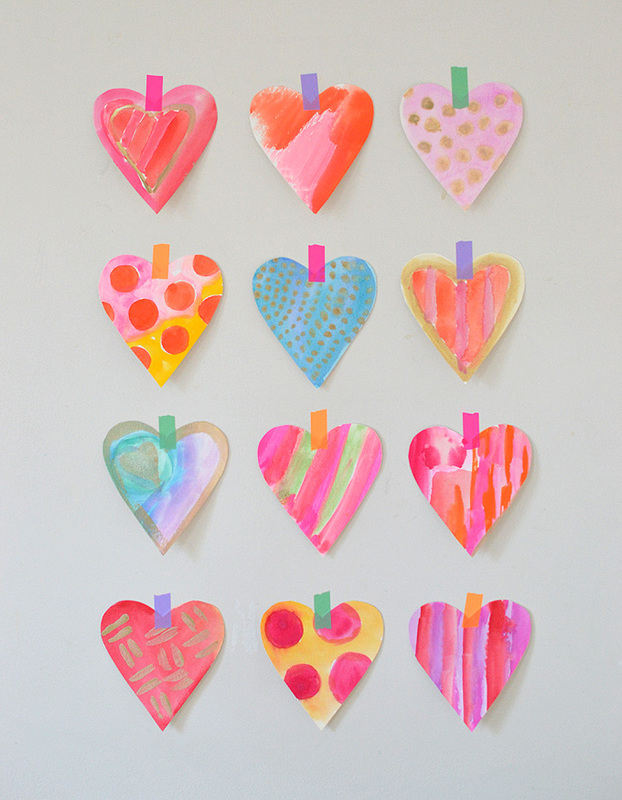 Don’t you want to make, like, hundreds of these and cover a whole wall? Oh, one more thing. I punched a hole in the back to add the string and beads! I added some solid color ones in there just to make the wall display perfect. 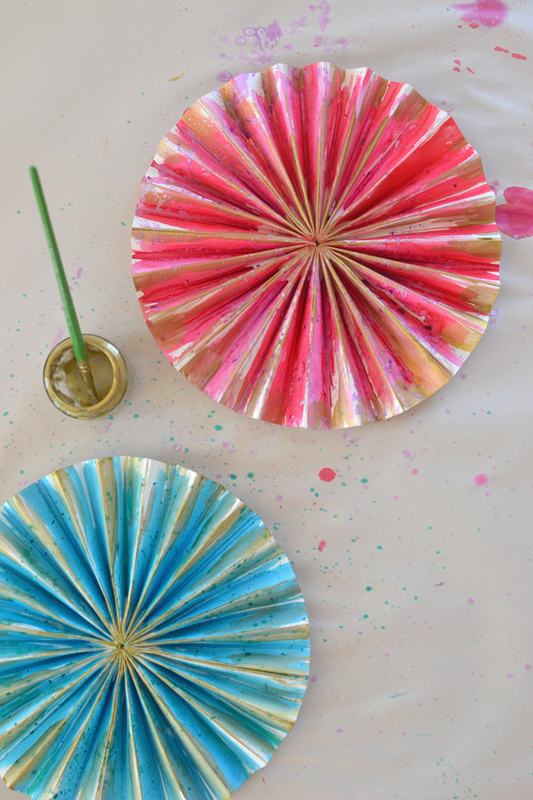 After the success of these painted pinwheels at home, I brought the show on the road and tried them out at an 8-ry old’s birthday party. 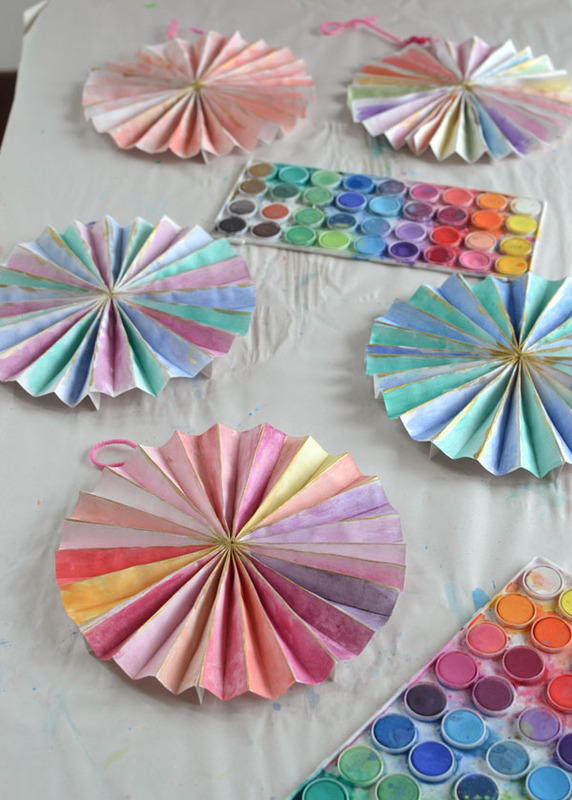 I made 20 paper pinwheels from sulphite paper (thinner paper that folds easier and works better with palette watercolor ) and brought them to the birthday party I was hired to host for 20 ten-year old girls. They LOVED them so much, everyone wanted to make more than one! I especially love the added touch of gold paint. 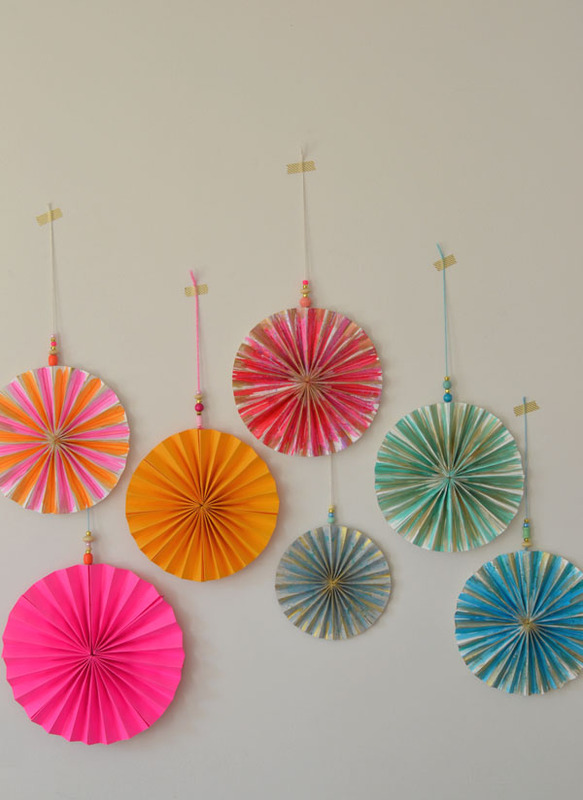 I would love to see YOUR paper pinwheels! Tag me on Instagram if you make any. These are beautiful…thank you for sharing! 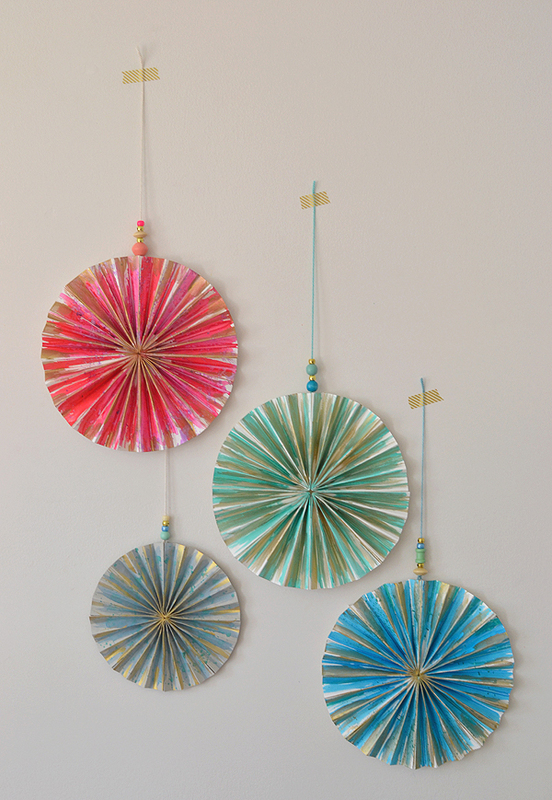 These would be so fun for handmade party decor! I’m interested in your projects because I hold free art lessons for the neighborhood kids during June. There aren’t very many, less than a dozen, and they must be at least six years old. Any suggestions you can provide and from other viewers would be appreciated. how lucky for your neighborhood kids!!! 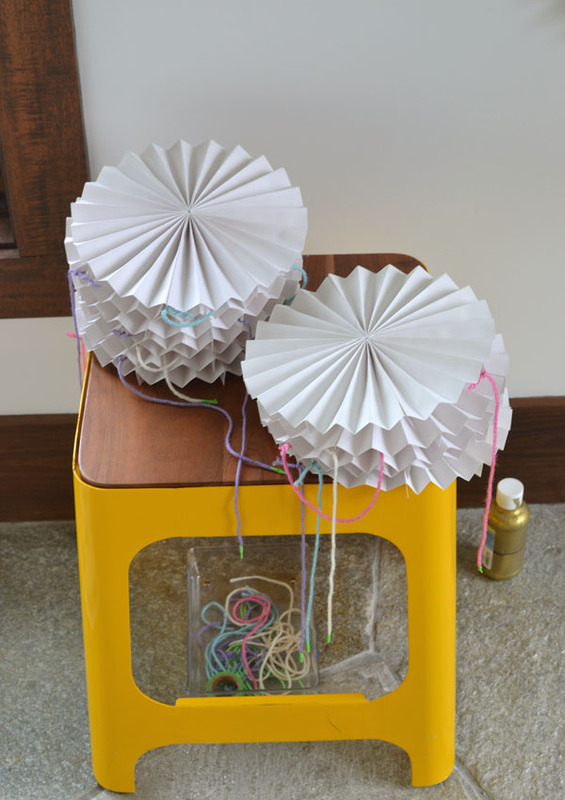 you can find all of my ideas for kids under the tab “create”. i have plenty to keep them busy all summer!! I love this project. And the real beauty when they are hanging IS in doing more than one! Just one question — how and where do you attach the strings? My daughter LOVES Poka Dots……this will look Great on her wall!!! 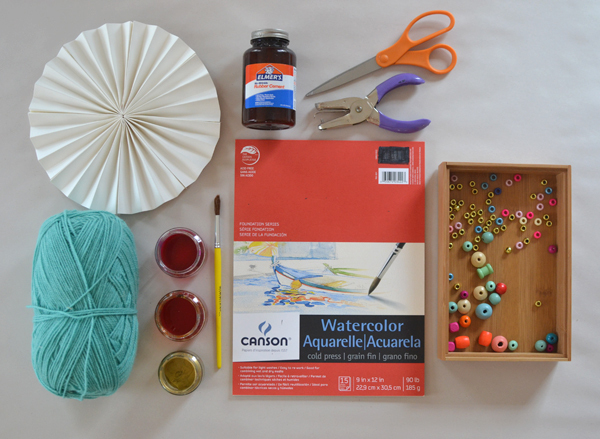 Thanks for posting this nice project, which I will be using today in my art program for developmentally disabled adults. 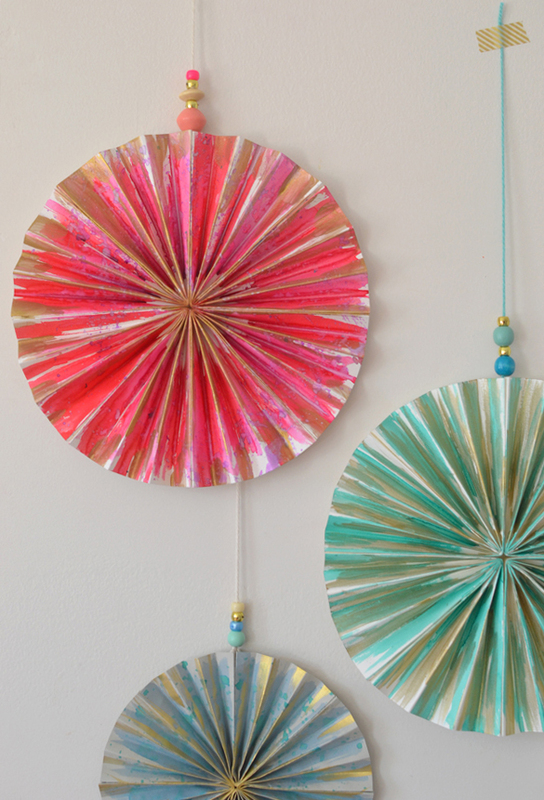 I prepared the pinwheels in advance, using a glue gun, which made the process much faster. 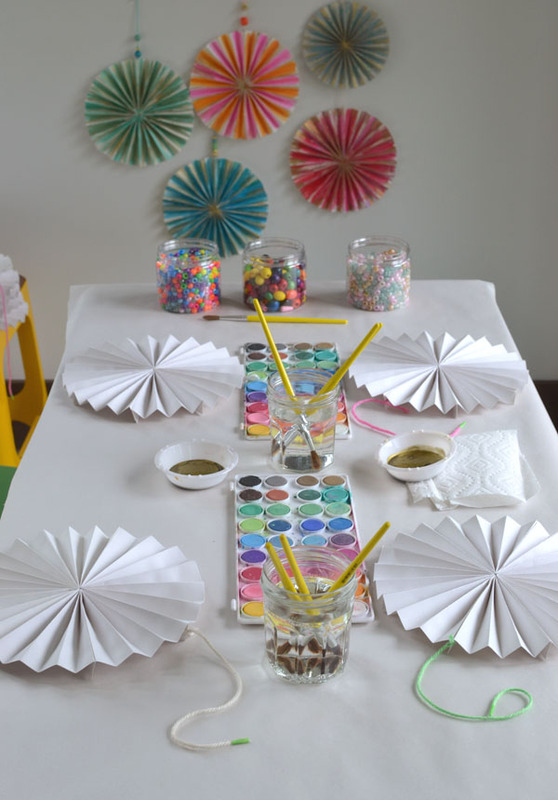 They enjoy painting very much, especially projects that can be used to decorate their rooms or given as gifts. What I’m wondering Bar, is if I can use any other glue because we’re moving, the rubber cement has been packed ;( It’s not one we use often for our art projects ….Thanks! I fell in love with these the moment I saw them. I don’t know any of the types of paper you mentioned. But I have 2 old invoices (normal A4 printing paper) whose backside is plain white. I cut them into half and made my 4 parts and stuck them together. My nearly 5 year old going on 50 is having her afternoon nap and I will paint it before she wakes up. She will be delighted. Sorry, it has taken me long to take a pic and reply. I made one with the old invoices and used very diluted acrylic colours. 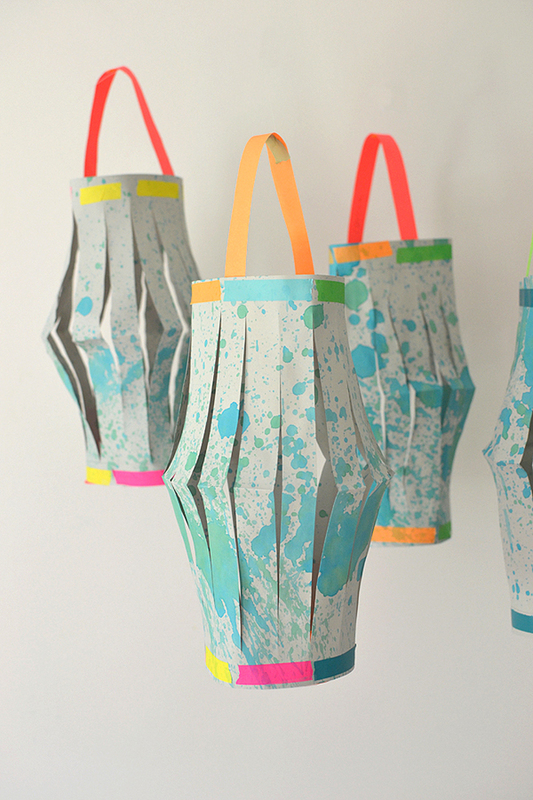 Brilliant, must try these with my art students! I’ve got to try this. My daughter’s would love it! Thanks for all the inspiration!